Adv.Thulisile (Thuli) Nomkhosi Madonsela is the Chief Patron of the Thuli Madonsela Foundation and is currently a Harvard Advanced leadership fellow for the year 2017. Upon her return to SA, she will take up a chair in social justice at the law faculty at Stellenbosch University (SU). Adv. Madonsela is a former Public Protector of the Republic of South Africa serving as the head of this Chapter Nine Institution for a seven -year Term. In that time she was conferred with four honourary doctorates of law from Stellenbosch University, University of Cape Town , Rhodes University and the University of Fort Hare. Adv. Madonsela has received various awards and recognition during and since her time in office as the Public Protector. She was also named amongst Time magazine’s 100 most influential People in the world in 2014 and as Forbes Africa’s Person of the Year in 2016. She received Transperancy International’s Integrity Award in 2014, the Law Society of South Africa ( LSSA) inaugural Truth and Justice Award and more recently, the Satyagraha Award at the Mahatma Gandhi Awards and the Commonwealth Lawyers’ Association Rule of Law Award. She Was appointed as Public Protector SA by the President on the recommendation of Parliament with effect from 15 October 2009. At the time of her appointment, Adv Madonsela was the only full-time Commissioner in the South African Law Reform Commission. Before then she held various leadership positions in civil society and the public sector. These included membership of the inaugural Commission for Commission for Employment Equity and the Steering Committee of the legal Services Charter and various executive management positions in the Department of Justice and Constitutional Development. One of the 11 Technical Experts that assisted the Constitutional Assembly in drafting South Africa’s new Constitution, Adv. Madonsela is a human rights lawyer, equality expert, constitutional analyst and policy specialist, who holds a BA Law and LLB degrees. She has also done postgraduate studies in various areas of law, including Constitutional Law, Equality, Administrative Justice and Developmental Law. Her postgraduate studies include executive leadership courses in areas such as leadership, strategic planning, project management and ADR. She is the co-architect of the promotion of equality and prevention of unfair discrimination act, the employment equity act and local Government transition act. She has also contributed to laws such as the promotion of administrative justice act, repeal of the black administration act, recognition of customary marriages act and the reform of customary law and related matters act. She has played a central role in the drafting of various transformational policies and related instruments, which include justice vision 2000, the victims charter, national gender policy framework and the policy framework that formed the basis of the ministry for women, children and disability affairs. She has written extensively, published and provided training on various aspects of law, equality and human rights in general. Her work includes co-authoring the Bench Book for Equity Courts, a Resource Book for Equality Court Clerks, a legal advice Handbook on family Law and Related matters and handbooks on gender management, gender mainstreaming and leadership. Born in Johannesburg to a working class family in 1962, Adv. 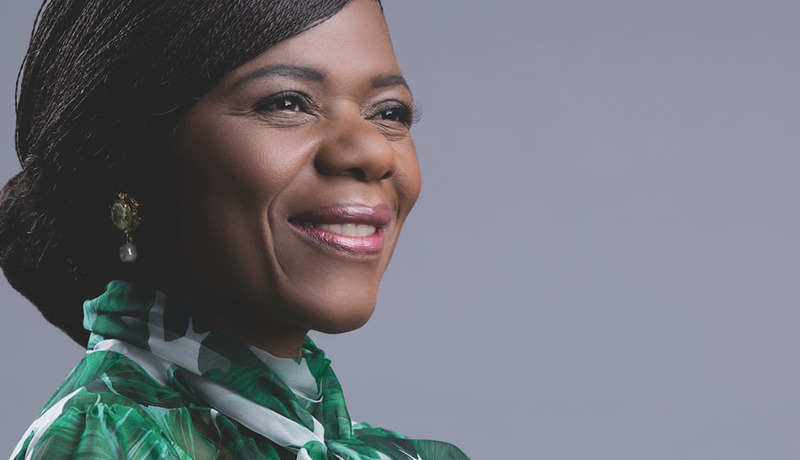 Madonsela was raised in Soweto completing schooling and then achieving a BA in Law from the University of Swaziland in 1987, followed by a LLB from the University of Witwatersrand in 1990. She has two children.